This year, we’ve decided to follow along with all of The Bachelorette action. Say what you will about the show, but there are lessons to be learned from it (even if just what not to do), and we’ll be watching to see just what they are. In last week’s episode, JoJo followed her heart and cut Luke and Chase loose—in both cases, she waited until just minutes after they told her they loved her. That’s right, nobody gets to escape The Bachelorette island without having their hearts broken. But it was a close call. 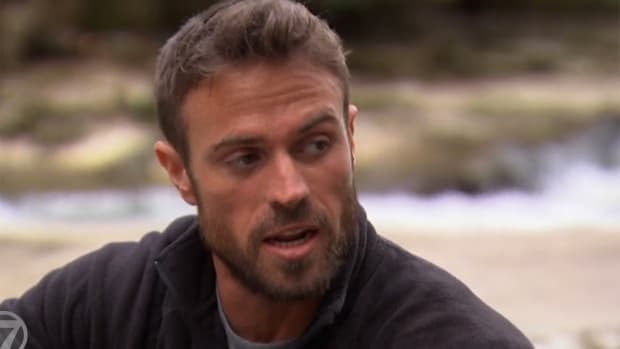 At the end of last week, two men left for triage, and two men were left for the finale: Jordan (the ex-NFL guy with the hair and the cocky attitude) and Robby (the guy who allegedly dumped his girlfriend of four years just three months before he started filming The Bachelorette). Wonder who she will pick? I’m pretty sure we all knew exactly who she would pick. But maybe, just maybe, Jordan’s mission to show JoJo’s dad how much he loves her—via telepathy? That’s right, he just wants him to “look at him and know”—will fail, and maybe JoJo’s mom won’t be concerned at all that Robby seems to be on the rebound. Did the finale unfold as we expect? 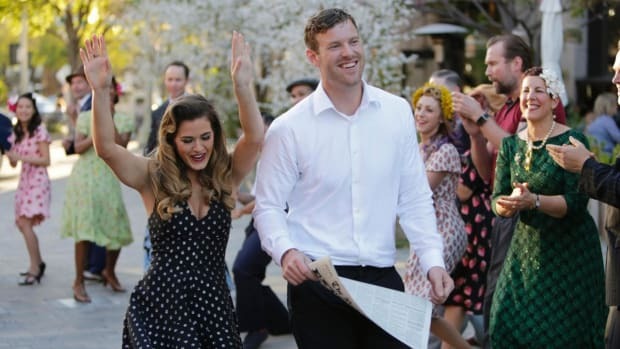 Here is what went down on the final episode of The Bachelorette. The season finale opens in Thailand, with JoJo nervously waiting to introduce both of her serious boyfriends to her family. She explains to her parents that she is in love with both of them and needs their help. If anyone was expecting history-making Bachelorette drama, already this didn’t feel like a finale that would deliver. At the end of the day, nobody was really much help...except one of JoJo’s brothers. As JoJo agonizes over how each of them makes her feel, her brother tells her, “This is not like trying to decide who to take to a New Year’s Eve party.” Finally, a voice of reason! “This is about marriage, and a house, and children,” he tries to explain. I see where he is going with this. You see, deciding whom to take to a party can be as simple as which person you think you’ll have the most fun with in that moment. That person doesn’t have to be someone you would ever want to entrust with your life—or your children’s lives for that matter. He just has to be someone you can have a good time with, can share a kiss with, and who will make your ex green with envy. But marriage is about more than just the feelings of the moment; it’s about trust and commitment and grit. More importantly, you can’t just tell them, “I had a really great time tonight,” and be done with it. JoJo talks a lot about wanting marriage, but she talks more about how each guy makes her feel, and—while feelings are important—she doesn’t often make it clear that she knows what lifelong commitment actually means. When Jordan met the fam, he did so with goofy hats in tow. Apparently in his family, there’s a tradition of embarrassing each other for sport. How romantic. So the Fletcher family donned the kitsch and laughed, and all was merry. Things went south, however, when mama bear accused Jordan of essentially being an attention-fiend, and then Jordan failed to ask papa for JoJo’s hand in marriage—something he would come to regret big-time. Apparently this gesture of tradition is hugely important to 25-year-old JoJo. While I can appreciate the sentiment, it seemed like her intense disappointment to the situation was a little exaggerated considering the bigger things at play here—I mean, how important is that tradition at this point? Nothing about this situation is traditional. If she is really in love with both men, you would think the bigger concern would be figuring out which of these men she actually wants to propose. Jordan tried to recover from his fumble by saying that he didn’t ask permission because he wasn’t sure if he would even get to propose given that he had competition still lurking. After a long back-and-forth about it, Jordan somehow managed to recover, and JoJo accepted his pledge that he loved her and was committed to this. As we approached the final proposal ceremony, we watched as the guys picked rings and wrote love letters slash final pleas to JoJo. Robby wrote in second person. Jordan tried to atone for the whole permission thing again by assuring JoJo that he had since asked and been granted her parents’ blessing. So, as you might have guessed, Jordan was the man who got to “bend a knee,” as he kept putting it. (Was he going for “take a knee”? Must be the pro footballer in him.) Robby, however, didn’t get the chance. 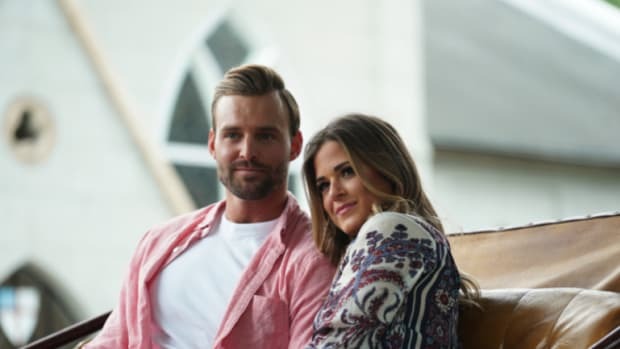 When Robby began to pour his heart out in a proposal, JoJo stopped him in his tracks and told him she loved him but that she loved Jordan more. Robby left heartbroken, but something tells me he will be able to bounce back pretty quickly. I hope that JoJo has figured out, now that she is happily committed to Jordan, that deep love doesn’t just strike—and it rarely strikes twice. Rather, it needs to be tended to and, most of all, protected from outside elements that have the power to influence emotions. Honestly, I wasn’t team Jordan, and I’m even more dubious about The Bachelorette after my first exposure this season. But now that JoJo has made her choice, I’m ready to put my skepticism aside and root for them and their future, and I pray there is a lot more to their reality TV love affair than meets the eye. On the field or in the woods, Chad is out to settle scores.